Can “daytime fireworks” be as compelling as evening fireworks, or different than any other explosion? 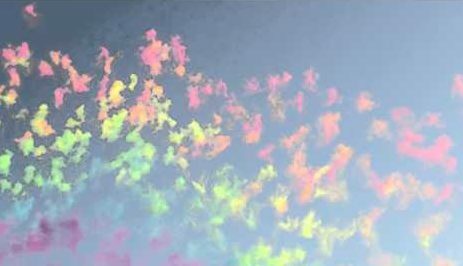 Watch this demonstration and the resulting the rainbow around the 50 second mark. Wow. At the Arab Museum of Modern Art in Doha, Qatar this week, Chinese artist Cai Guo-Qiang put on his largest “explosion event” of the last three years, utilizing microchip-controlled explosives to form incredible designs and patterns. The video we’ve embedded of the event is an impressive testament to how a volatile black powder explosion can be controlled and shaped by computer.